Faithful followers of Thin Slicing the World will remember Barry and Virginia from the Yosemite post of the Scotty Odyssey. 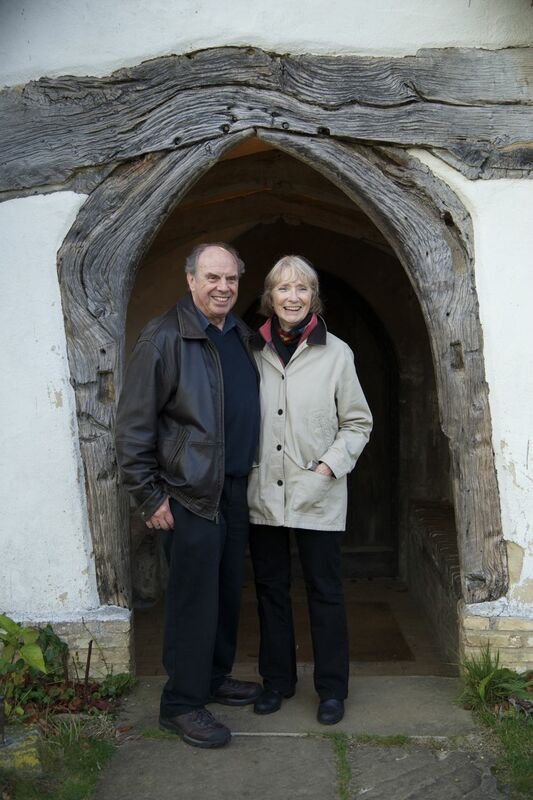 At that time, Dave and I had little inkling we would have the good fortune to visit this engaging couple a mere two months later at their home in the UK. “At home” is exactly how we feel from the moment Barry and Virginia open their front door and welcome us into their art-infused house. 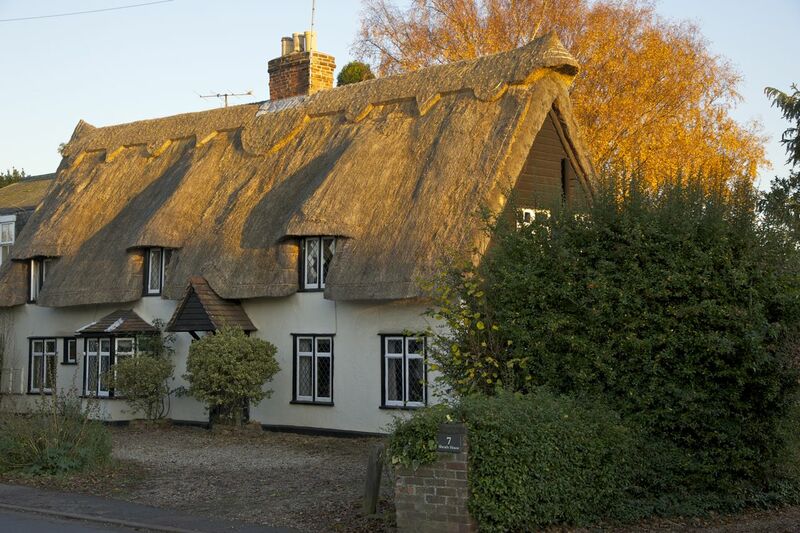 A pleasing sense of light and color pervades every room, bookshelves brim with appetizing titles and ample windows frame a well-tended garden planted with a variety of shrubs, trees and flowers. Two remarkable lives merge on walls covered with a gallery of paintings, drawings, mementos, and smiling photos of family and friends. At first it’s difficult to put my finger on what makes this place so appealing until I realize: this house is full of love. The space is so inviting that for a moment, I want nothing more than to curl up in one of the many comfortable chairs and simply take it all in. But that pleasure will have to wait. 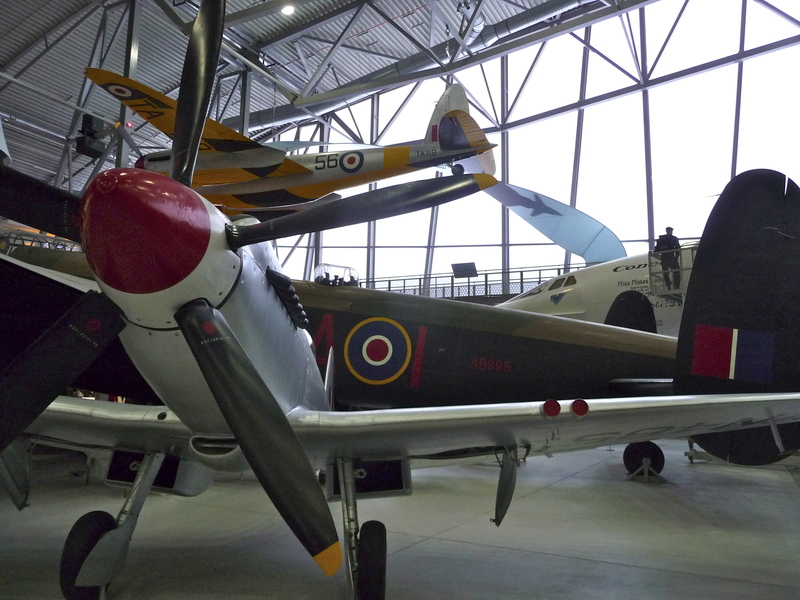 The four of us pile into Virginia’s maroon Ford and drive a short distance to the airfield at Duxford, site of the largest collection of vintage aircraft in the world. We duck to enter the low door of a Concorde, marvel at its cramped cockpit wallpapered with an array of inscrutable instruments, stand back slightly shocked at the sight of a B-52 Bomber whose wingspan stretches across an entire hanger, and crane our necks to examine various helicopters, cargo planes, early passenger jets and WWII Spitfires and Hurricanes suspended from the rafters overhead. Long before our curiosity is sated, our stomachs begin to rumble with hunger. 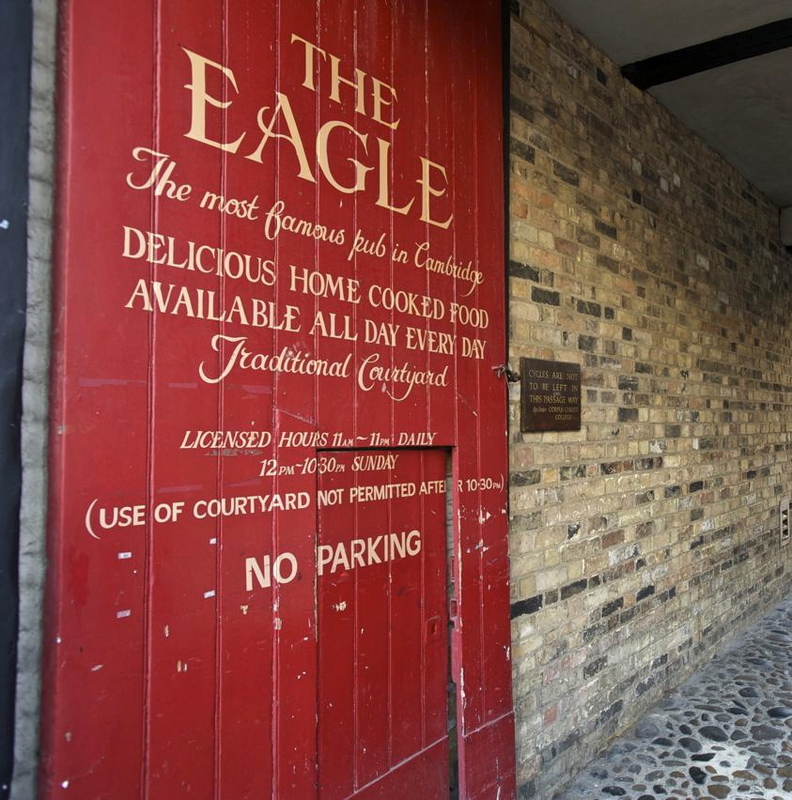 We regretfully abandon the airfield and return home, where a nourishing meal awaits. Barry has prepared homemade borscht and Virginia beautifully fills in the gaps with a salad composée, whole grain bread, smoked salmon and mackerel, marinated olives, and a selection of cheeses, accompanied by platters of laughter and sympathetic conversation. 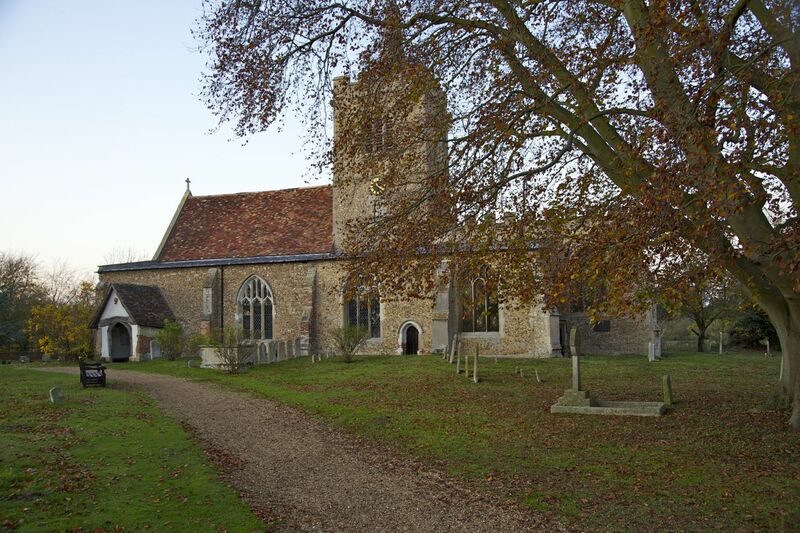 We stride past thatched and half-timbered houses, across the common green and along a footpath to the village church, whose oldest part dates from 1217, though a church is thought to have stood on the site since Norman times. Twilight seeps into the fields and we make our way home. Now is my chance to sit and savor as we spend an hour or two curled up on the couch and in comfy chairs sharing photos, music, and stories of respective travels and families. 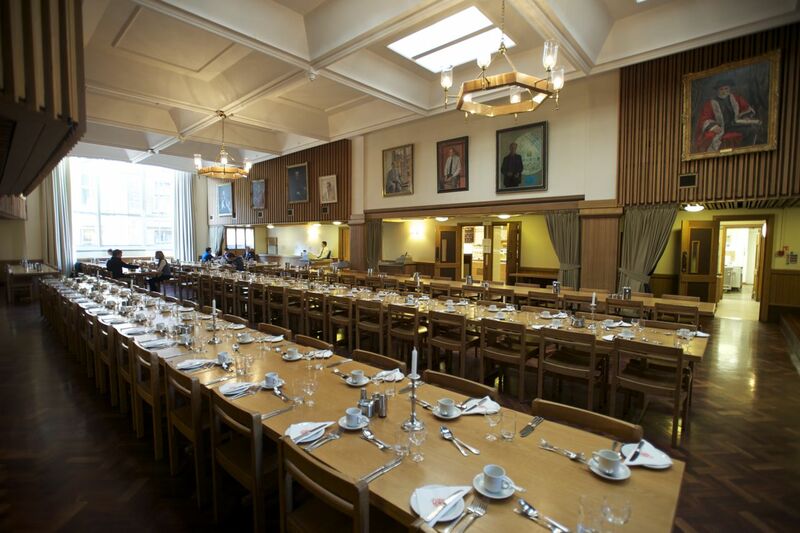 Over dinner in a low-ceilinged pub, discussion ranges across a variety of theological, ontological, psychological and political topics. (And more that I’m sure I’ve forgotten.) We touch on the power of the mind, the benefits of spiritual faith, and the possibility—or impossibility—of giving ourselves over to that which is greater than ourselves. The morning stretches out ahead, ripe with promise about to be fulfilled. 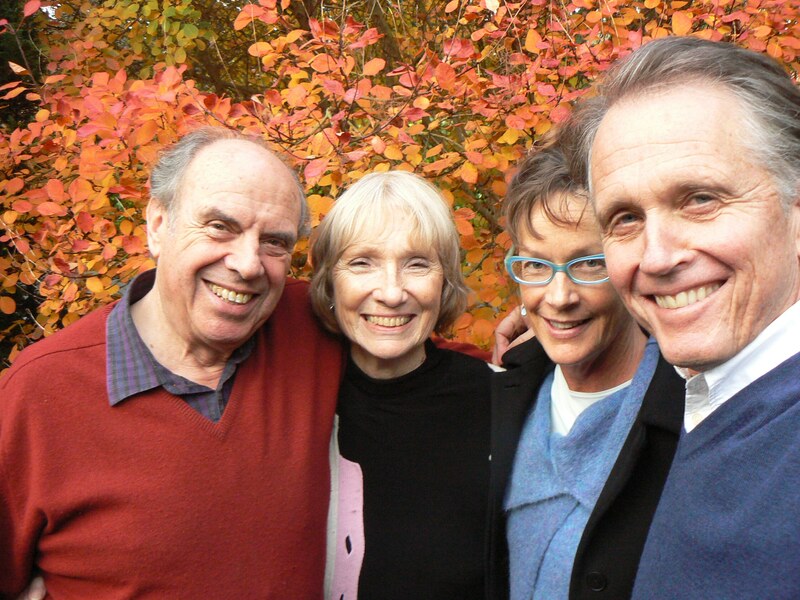 Virginia departs to manage the musical program at her church, while Barry, Dave and I embark on a very special tour of Cambridge. 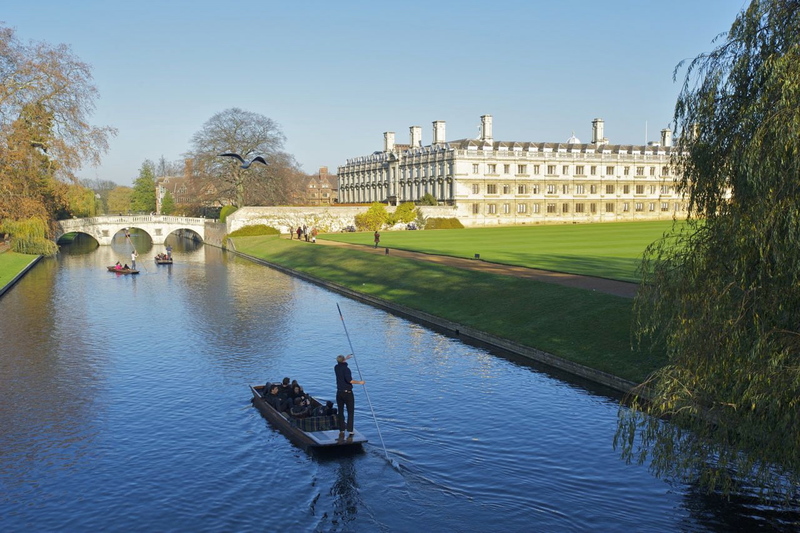 Cambridge…the place name conjures images of punting on the Cam; of the famous foot race around Trinity Courtyard reenacted in the film Chariots of Fire; of Watson and Crick’s discovery of the double helix structure of DNA; of Milton composing poems under a mulberry tree. 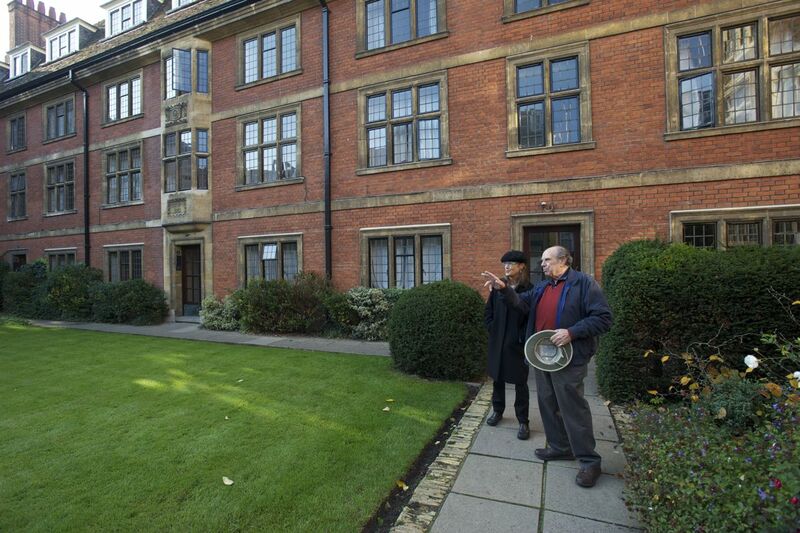 Our first stop is St Catharine’s College, where Barry served as Master from 1984 until 1993. 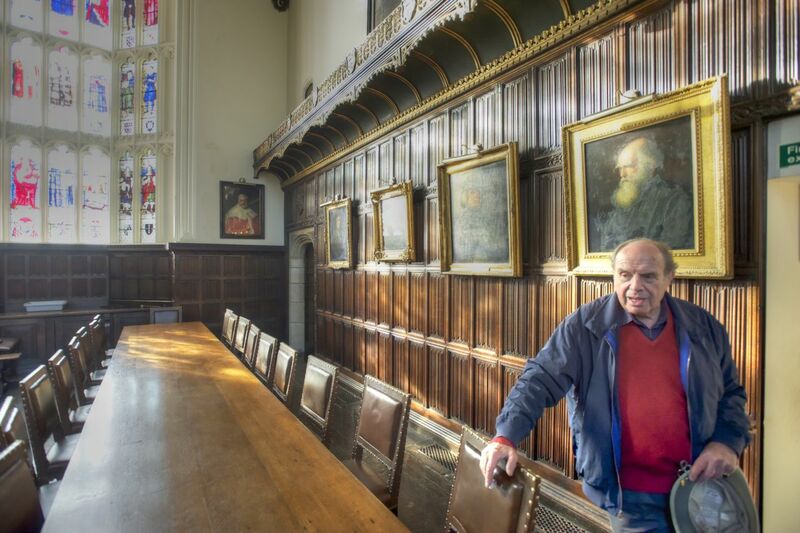 A renowned economic historian, he also served as academic faculty at both St Catharine’s and Christ’s Colleges, and now retains the social privileges and title of Fellow (in his case Honorary Fellow), without the obligation or right to play a governing role in either College. 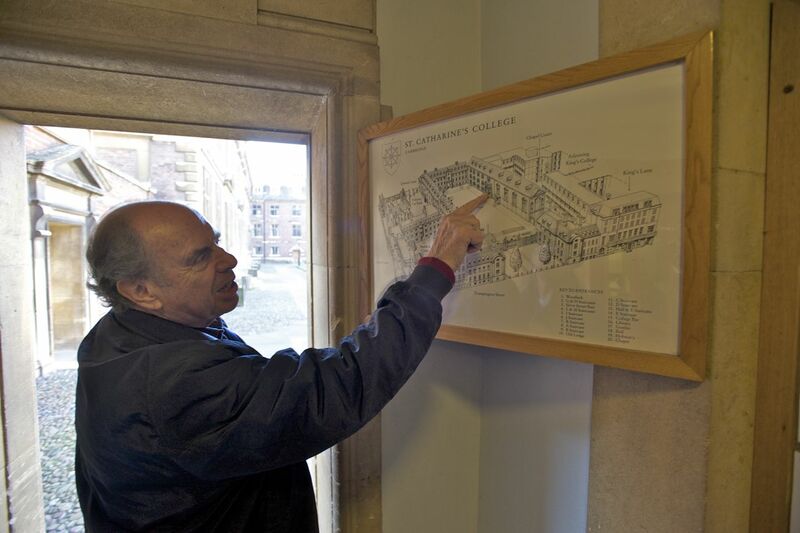 As we stand in the Porter’s Lodge (official entrance), Barry explains that each college has at its physical core (and usually in its main—and original—courtyard) a Master’s Lodge, a Chapel, and a Hall—reflecting the historical, communal functions of administration, worship, and meals—as well as student living quarters, Fellows’ offices, and the facilities of a moderately large community. 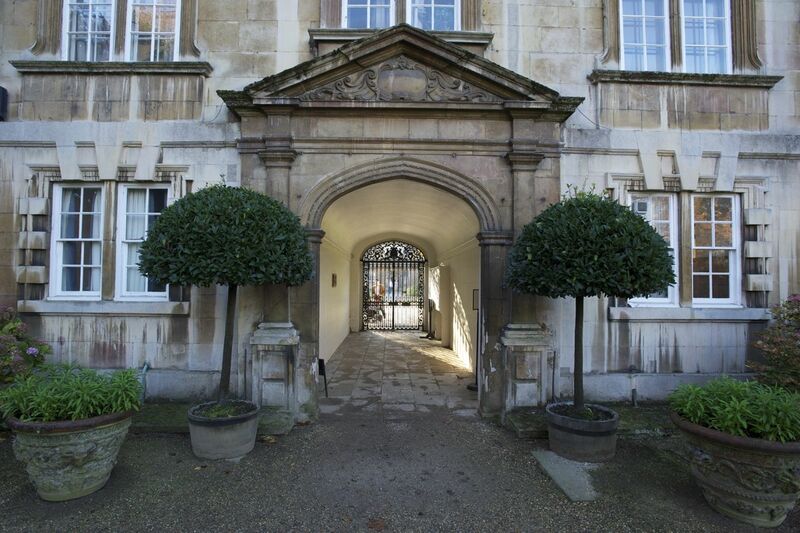 The photo below shows the Master’s Lodge where he and his wife resided during his years as Master of St Catharine’s College. 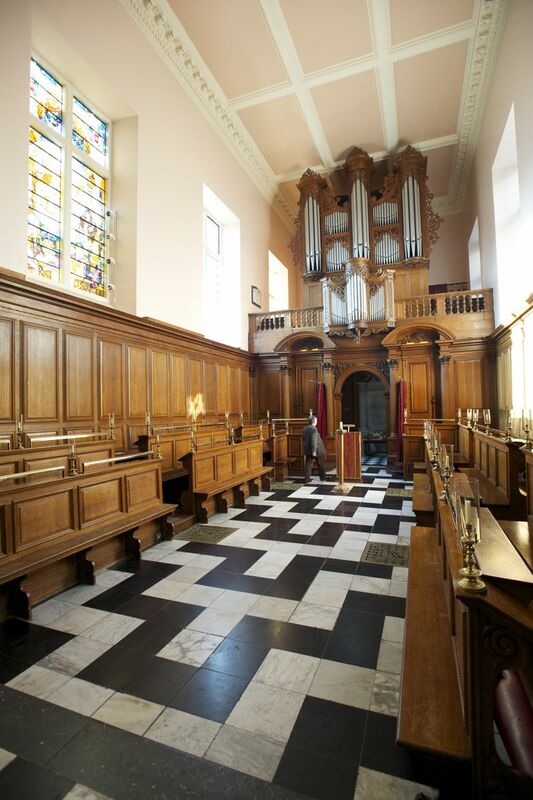 Below, the “chapel” at St Catharine’s—not as small a place as the name might lead one to imagine. 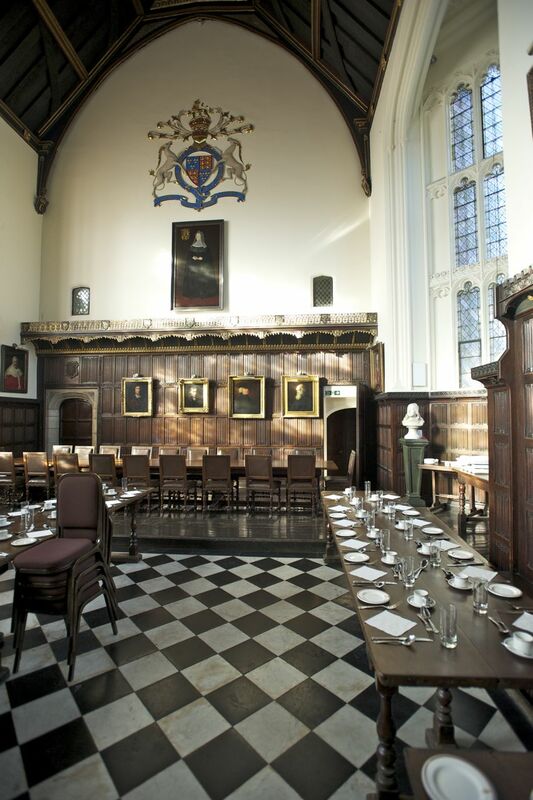 Fellows at Cambridge colleges are provided housing and meals by their college, as well as access to a Common Room and other special meeting rooms. As we tour these exalted chambers, Dave and I are very aware of what a rare honor it is to see inside these private places. 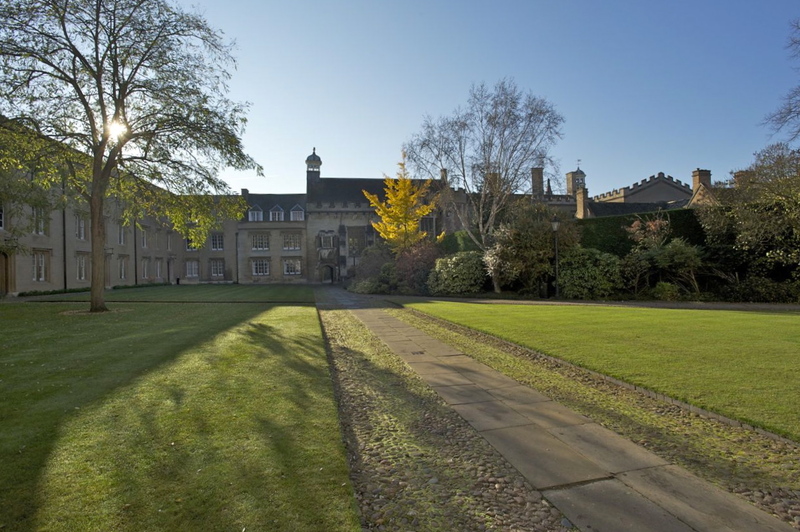 Fellows at Cambridge colleges have another interesting privilege: the right to tread on college lawns. These well-tended patches of green are strictly off-limits to students and the general public. Unless accompanied by a Fellow. Luckily, as Dave learns when he innocently walks across a forbidden square of grass in pursuit of a better photographic angle. 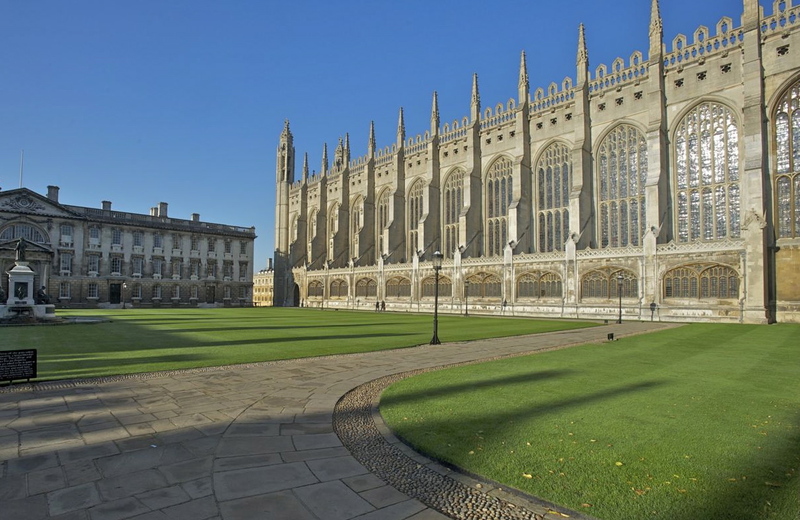 We depart St Catharines and make our way to Kings College, emblematic for many of Cambridge University, and home to a chapel the size of a cathedral. 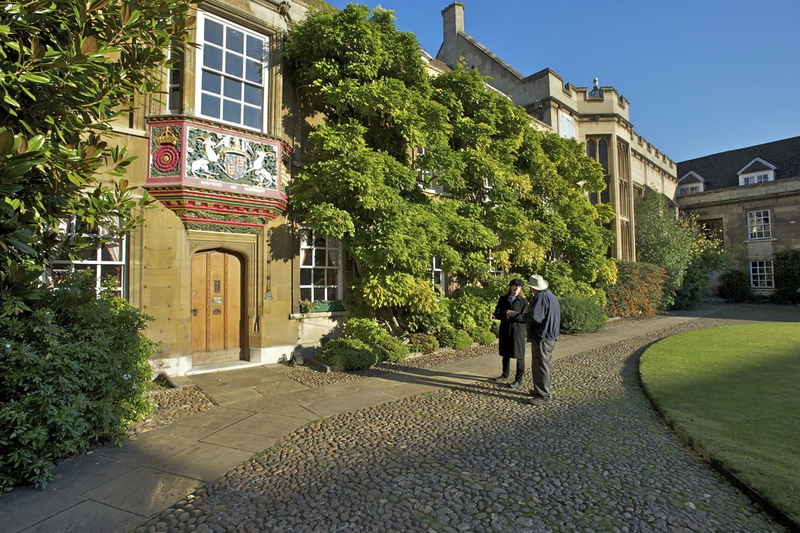 Finally, we are treated to a visit to Christ’s College, founded in 1437—before “America” was even a gleam in Columbus’ eye. Barry procures a key from the guardian of the gate that will unlock access to very special places indeed. 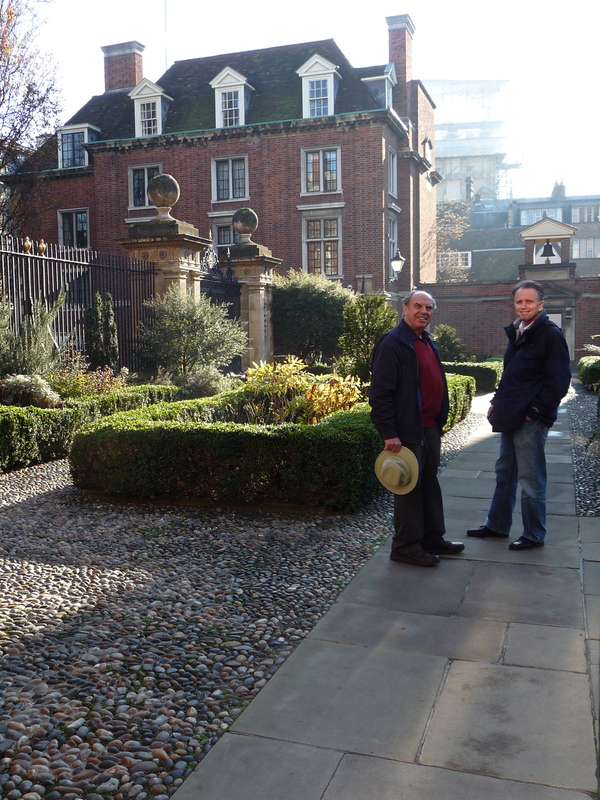 We pass into the intimate first courtyard and he points out the three essential elements: Master’s Lodge, Chapel and Hall. Dave squeezes my hand as we enter the Great Hall. Darwin trod the black and white stone floor beneath our feet. At the High Table, Barry pauses. Something about the look in his eye tells me he is remembering, perhaps savoring, other hours he has spent in this place. 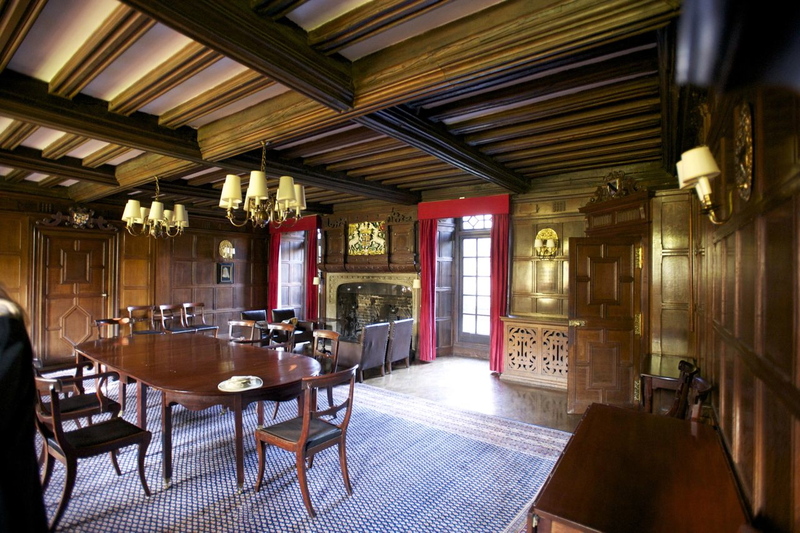 Then he pushes open a hidden door—built to blend into the wood paneling—leading into the adjoining Fellows Common Room. “We just call it ‘The Room,’” Barry says, ushering us inside. 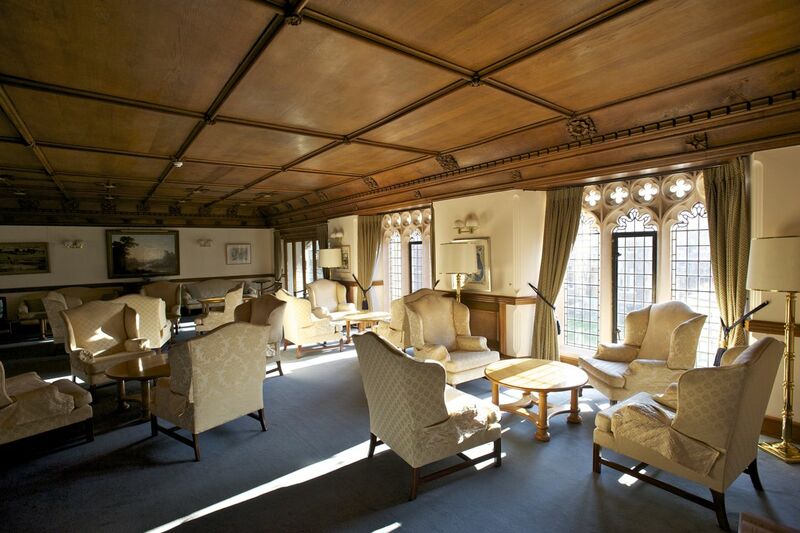 Dave and I gaze at the beamed ceilings, Tudor-era dark wood walls and stone fireplace and feel as if we’ve been admitted to the inner sanctum of the inner sanctum. 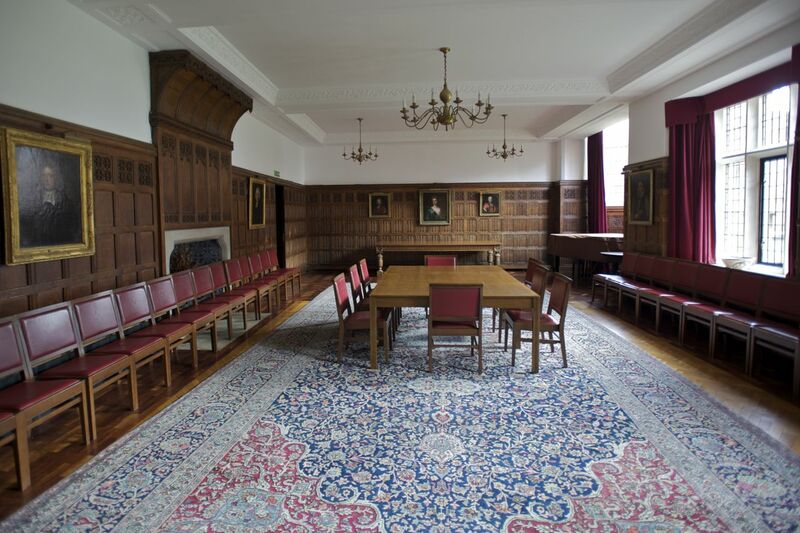 For hundreds of years, Fellows have adjourned after dinner to “The Room” for coffee, fruit (sometimes cheese), and digestif drinks of Claret or Port. And also for hundreds of years, a journal of sorts has been kept of these evening occasions. Barry walks across the room to a nondescript cabinet, slides open the door and pulls out one of many threadbare books stacked haphazardly on the shelves. 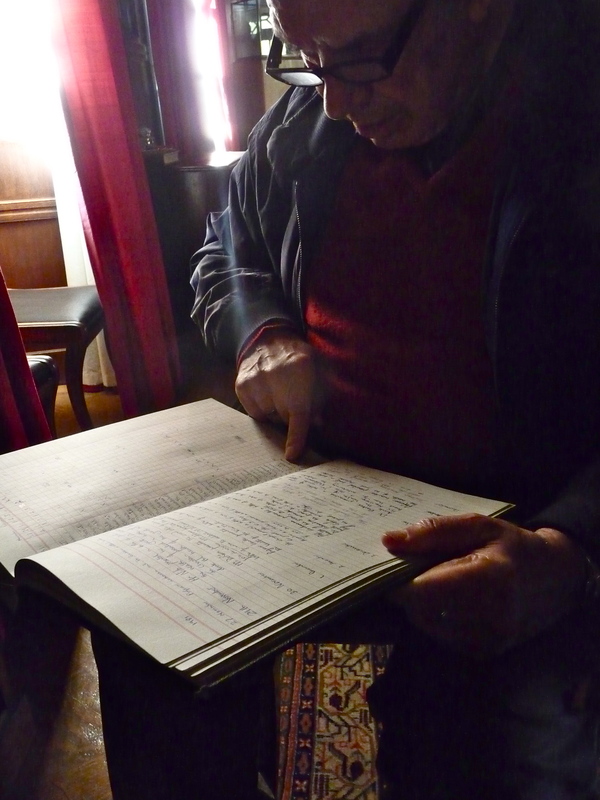 These are the “wine books,” ledgers tracking every drink consumed in this room, as well noting wagers and observations. I scan the spines: 1790—1800, 1820—1830, 1900—1920. Barry flips through volumes and reads some of the entries aloud. We all smile to hear of a distinguished Fellow presenting a “conscience bottle” of claret to the group of gathered peers. (Translation: some unnamed and apparently shameful deed was committed, requiring penance in the shape of a bottle.) Another notation, on November 11, 1918, celebrates the signing of the armistice ending WWI. Day after day, year after year, world and personal events are recorded. All of us feel we could spend hours poring over these unique documents. But time—and probably unwritten law—does not permit, so we make our way outside. 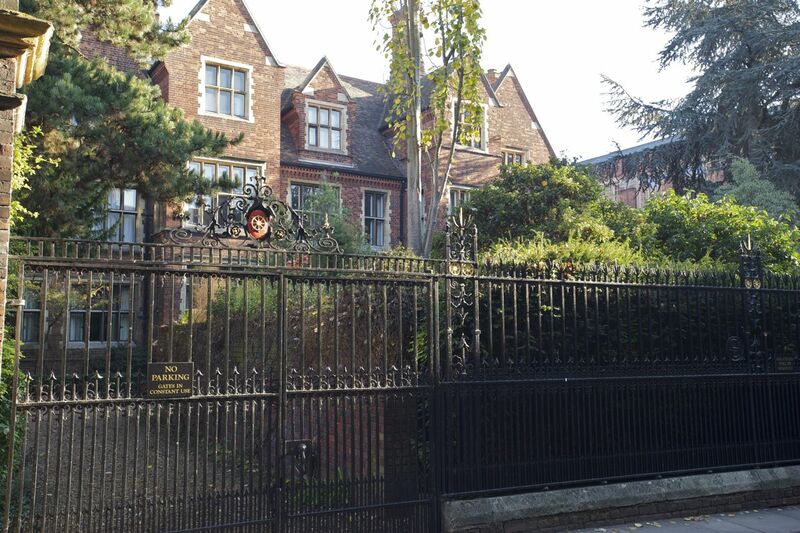 The day is bright and clear, and we stroll the College grounds in a kind of wistful awe. We three campus explorers return to find Virginia has prepared a delicious buffet. And then Dave and I must reluctantly take our leave. We depart grateful and inspired, cognizant of all the blessings in our lives, especially such bright, kind and companionable new friends. 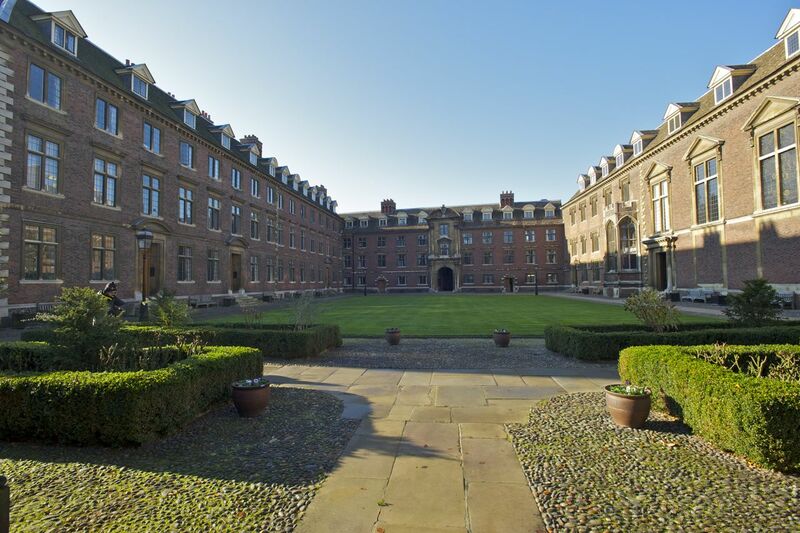 Thank you for sharing your Cambridge explorations, Anna! I felt like I was taking the journey with you and dave! Such an honor!